Heat oven to 160 degrees centigrade. 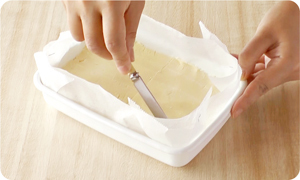 Line the dish with oven paper. 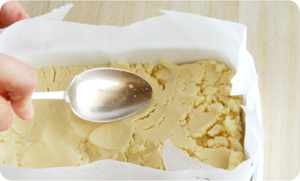 Leave the butter out to warm to room temperature. 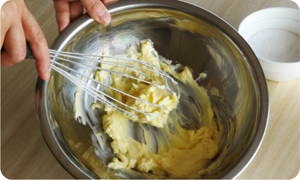 Put the butter in a bowl and beat with a whisk until it becomes creamy. 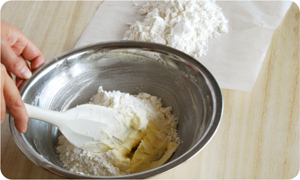 Add the flours and stir in a cutting motion with a spatula. 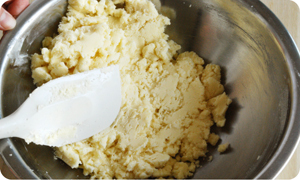 When the dough becomes crumbly, gather it together in a ball. 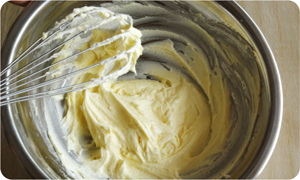 Put the dough into the prepared dish and smooth out with a spoon. 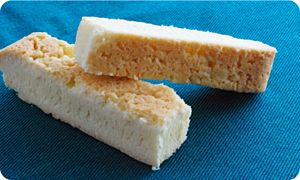 Before cooking, use a knife to score the shortbread for easier cutting later. 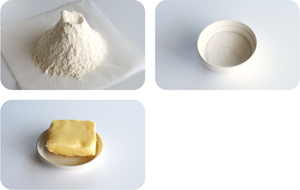 Cook for 50 to 60 minutes in a 160 degree oven. 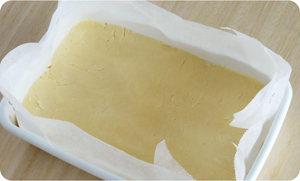 While still hot, cut the shortbread into fingers and cool on a wire rack.